NEW DELHI: Telecom service provider Bharti Airtel has said that Kotak Mahindra Bank will acquire 19.90 per cent stake in its wholly-owned subsidiary Airtel M Commerce Services Ltd. (AMSL). 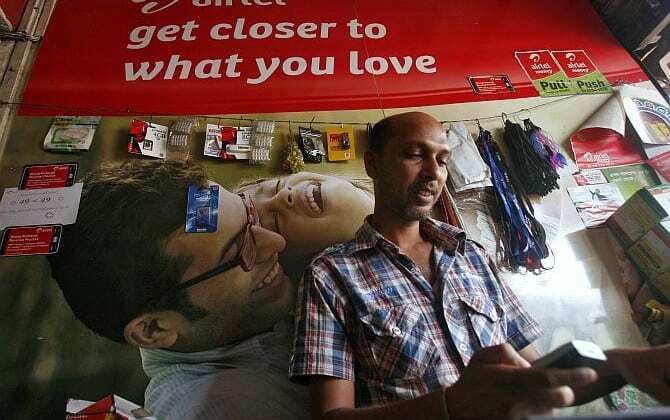 AMSL, which offers mobile money services under the brand name Airtel Money, is proposing to convert the existing pre-paid payment instrument licence into a Payments Bank license as per the guidelines prescribed by the Reserve bank of India, Bharti Airtel said in a statement. Presently, AMSL offers mobile money services under the brand name Airtel Money. Airtel Money, launched in 2011 was the first mobile based pre-paid payment instrument service in the country. “Subject to grant of a license to AMSL and all regulatory approvals, Kotak Mahindra Bank Limited (Kotak) will acquire 19.90% stake in AMSL as an investor,” it added. “The RBI guidelines provide an exciting and challenging opportunity for an entity like us to contribute in a meaningful manner to drive financial inclusion,” said Gopal Vittal, MD and CEO (India and South Asia), Bharti Airtel. “Kotak’s banking expertise coupled with Airtel’s strength in telecom will help deliver financial services to millions of unbanked citizens across the country,” he added. “Payment banks have the potential to leapfrog India’s financial inclusion agenda. Basic but critical services such as small savings accounts, remittances, etc will bring a large number of low income households and small businesses under the formal banking network,” said Dipak Gupta, Kotak Mahindra Bank’s Joint MD. Airtel is the largest mobile services provider in India with over 215 million subscribers and with 31% revenue market share, according to the company. Bharti Airtel joins hands with Kotak Mahindra Bank 0 out of 5 based on 0 ratings. 0 user reviews.